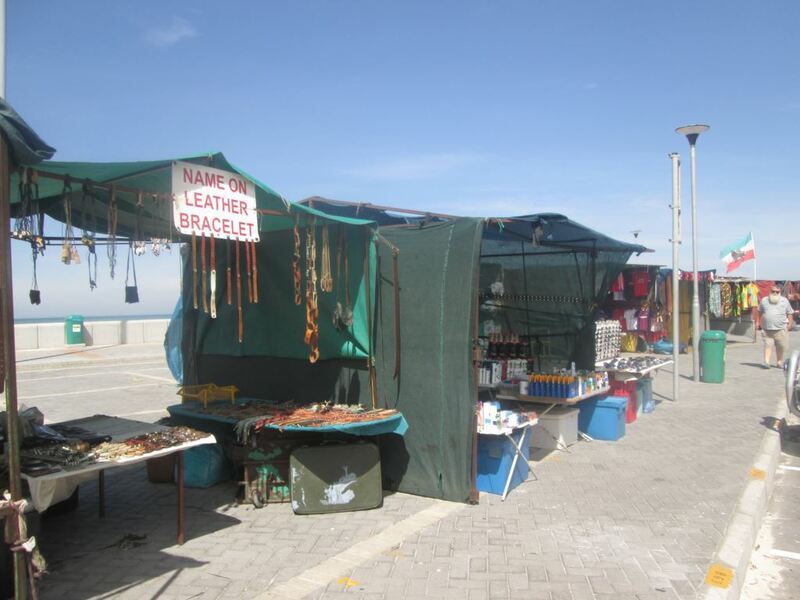 Judging from feedback received from businesses as well as visitors to the Strand during the past holiday season, the SBID’s presence and activities in the area is experienced as a positive and value-adding one. * In conversation with a few informal traders, it appeared that they were feeling positive about their new premises on the beachfront. There were generally no complaints, except that too few traders had been allowed. One of the traders said it was now much more difficult for wrongdoers to get away with their underhand practices, thanks to the layout that allows traders to have sight of one another and to notice more easily when something illegal transpires. According to Johan, this trader specifically referred to the unlawful trading in drugs, which had apparently been a prevalent practice before. According to some of the traders, it is however very quiet at the moment, although this is not due to the location or layout of the marketplace. * Comments and feedback from the public and holidaymakers have been positive. 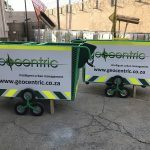 Mr Erasmus said he was not aware of any negative response, except regarding neatness and visual appearances that could be improved, for example, torn canvas sheeting that should be repaired and litter lying around. This kind of negligence did not create a good impression. 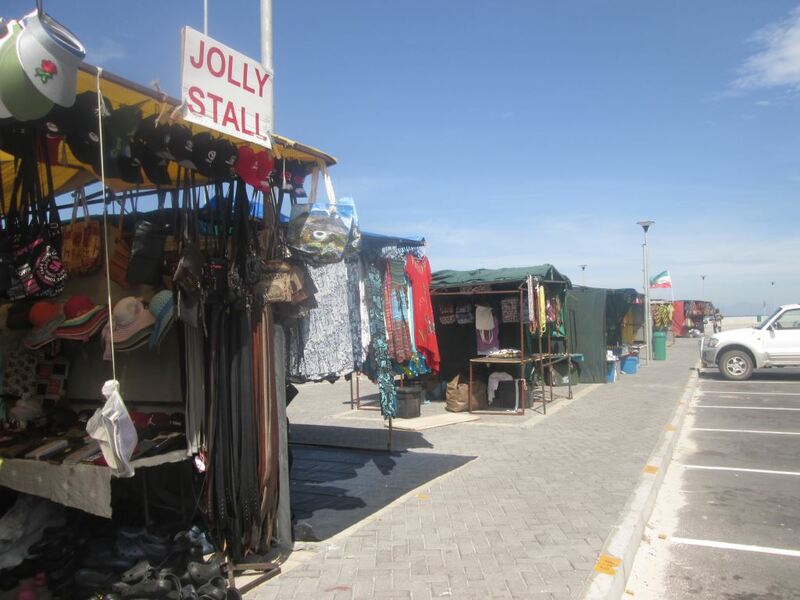 In general, businesses in Strand were satisfied with the street market, however they were aware of a measure of unrest due to the applications of several traders for bays having been turned down. However the noisy protest action had apparently soon subsided and no further problems had been experienced. Something that the business community feels strongly about, is the untidy visual impact, for example caused by torn canvas sheeting which they hope can in the future be replaced by something that is more acceptable and visually more pleasing. Another aspect that gives rise to concern with some of the traders is the fact that illegal products with fake branding are sold in competition with those who have paid much more for the authentic items. Mr Erasmus says there was definitely positive feedback about the additional security measures. Some of the comments went directly to Secure Rite, which is the company whose services are employed in the area. 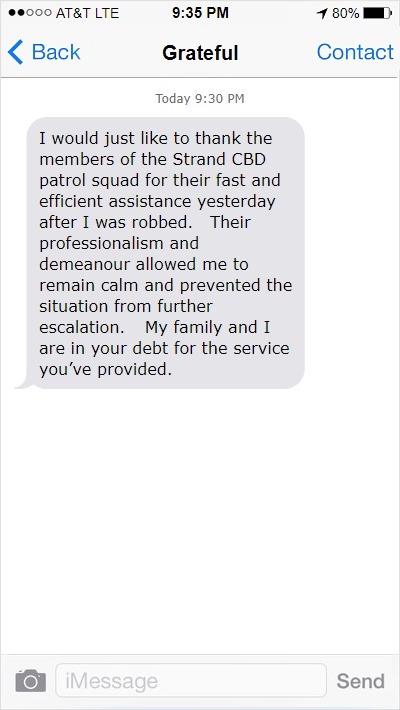 On 28 December 2017 around 3pm, whilst Strand Safety Officers Jakes Very and Juandre Barnard were on a crime prevention patrol, a pregnant woman was mugged by a suspect who then fled down Pickle Street. The two officers immediately rushed to the woman’s rescue and not only managed to detain the suspect, but they also retrieved the stolen goods. 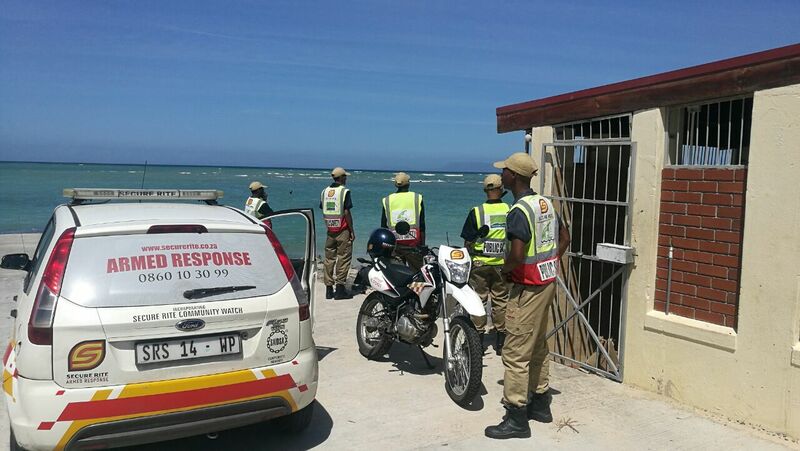 Strand SAPS was notified and came to arrest the person involved in the incident. According to Mr Erasmus the co-operation amongst the various role players in Strand, like security companies, the Strand Neighbourhood Watch and Strand BID is excellent.